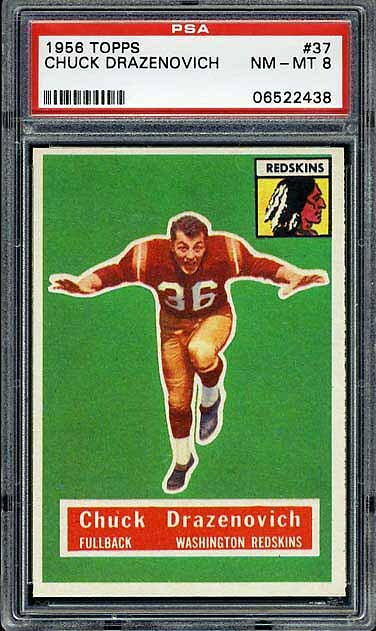 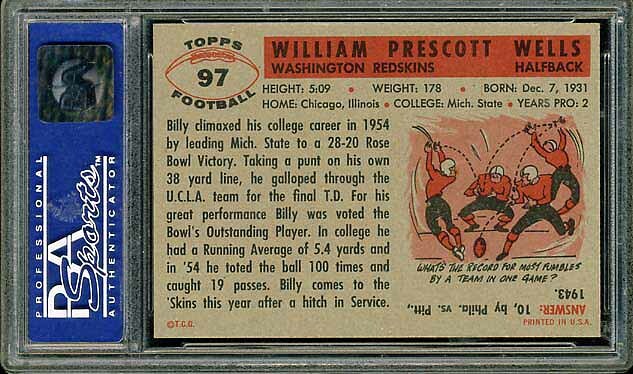 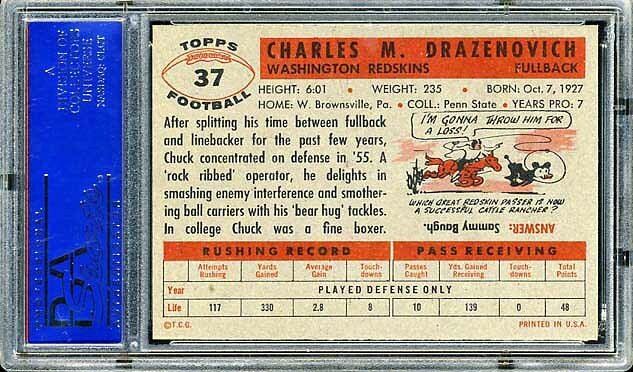 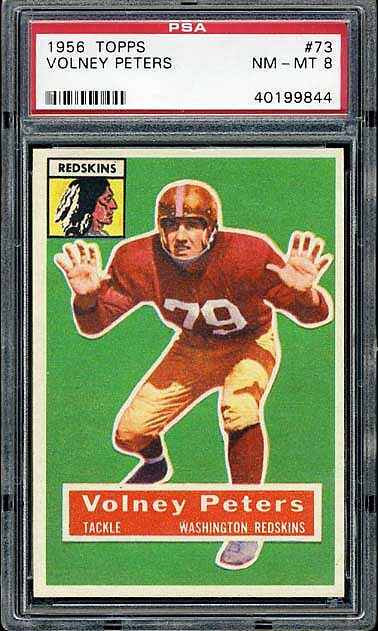 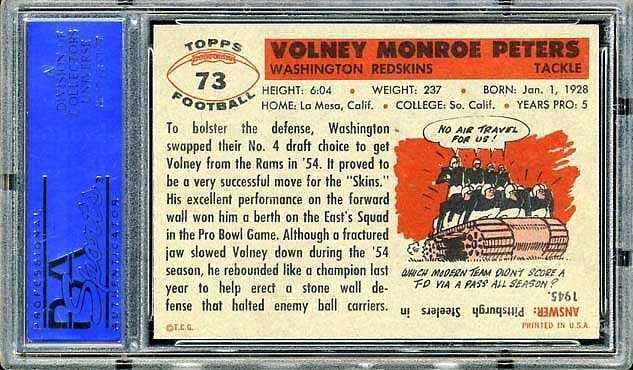 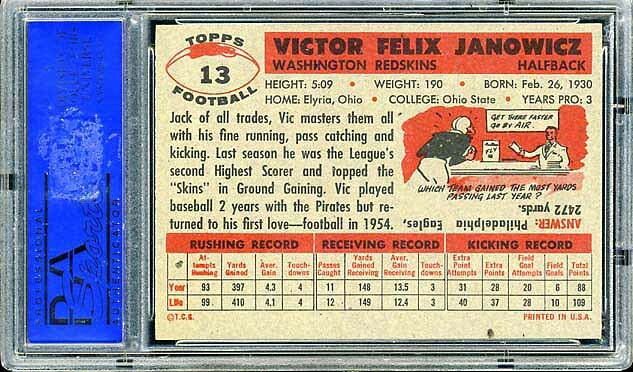 This is Topps first NFL release and they sure made it interesting for Redskins collectors. 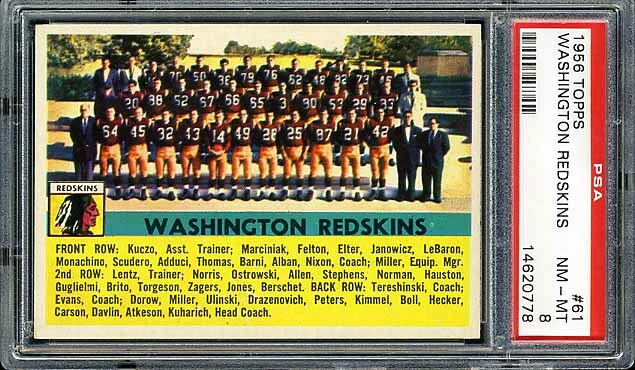 Every Redskin in this set is a short print (along with every Cardinal card in the set). 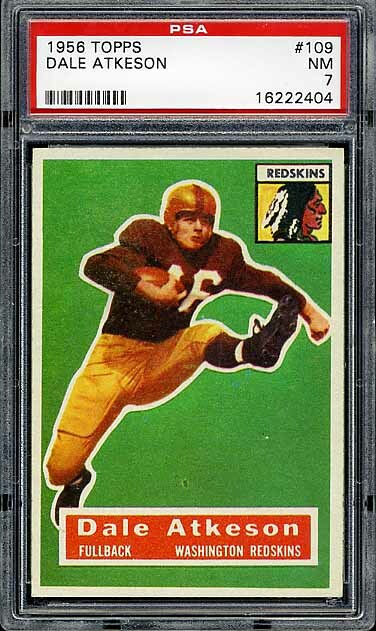 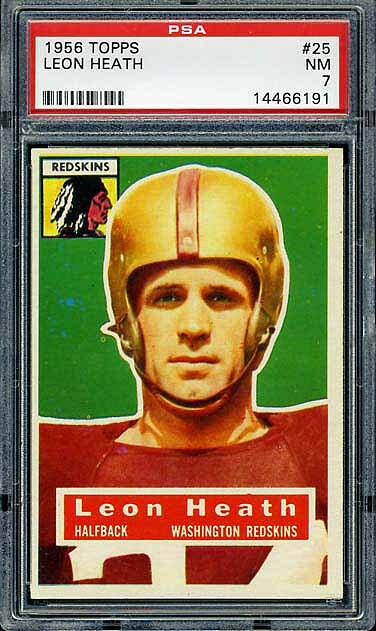 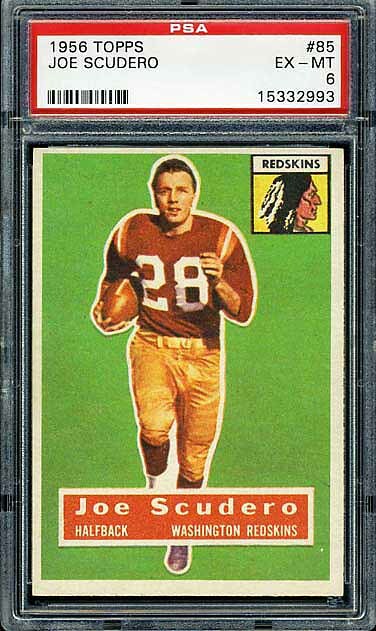 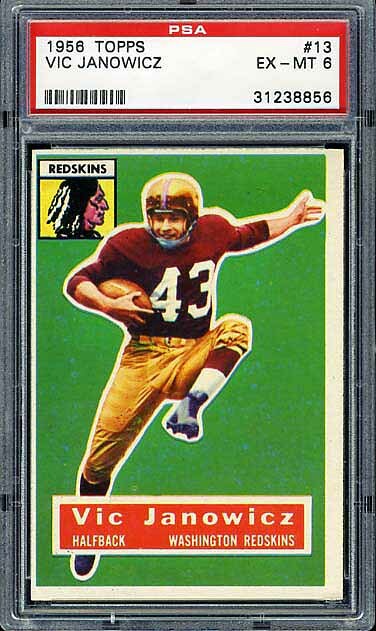 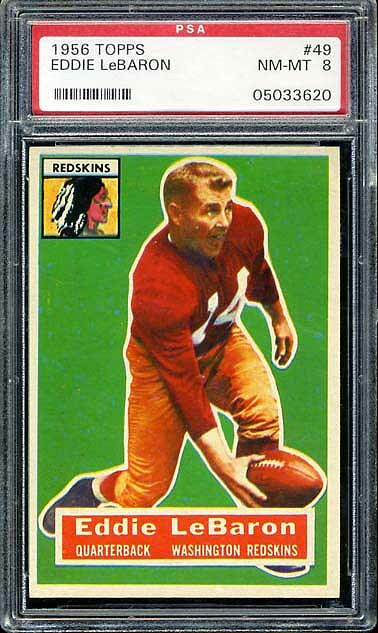 Additionally, once again, a Redskin is the first card in the series. 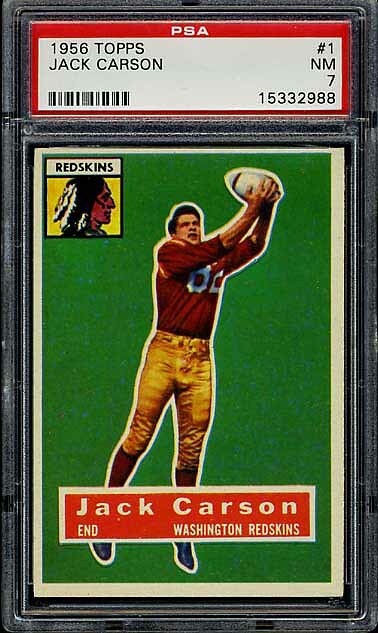 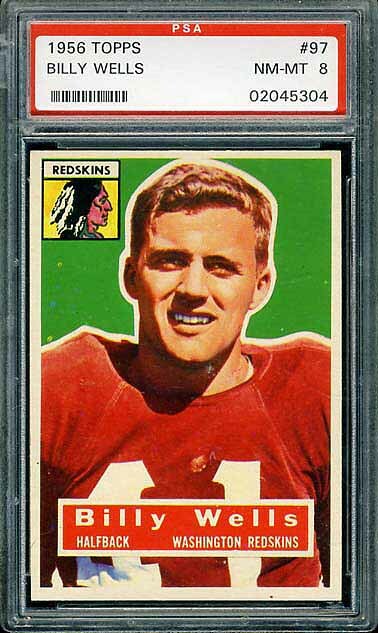 As a result, it is extremely difficult to find high grade Redskins football cards in this set. 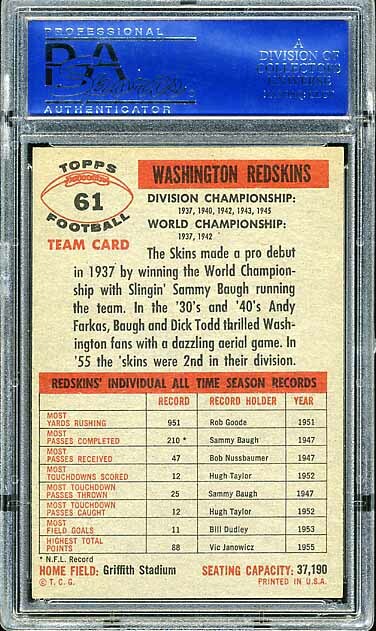 The team set below is complete. 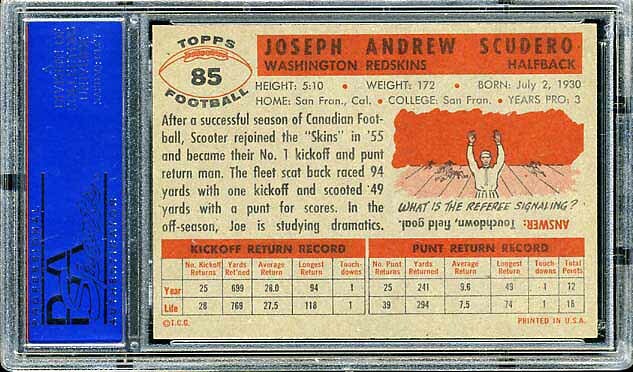 The set is a very attractive set. 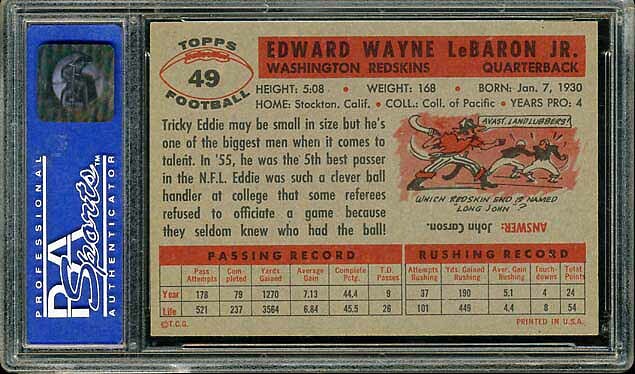 I do not think it is as attractive as the early 50’s Bowman sets. However, for a first outing by Topps, it is a very nice and very desirable set.